Secretary of State Tre Hargett, Gov. 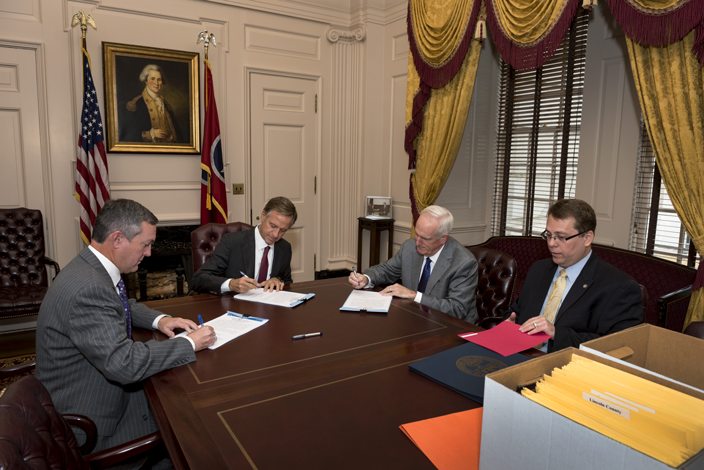 Bill Haslam and Attorney General Herbert Slatery certify Nov. 8 election results with Coordinator of Elections Mark Goins. Secretary of State Tre Hargett, Gov. Bill Haslam and Attorney General Herbert Slatery certified Nov. 8 election results with Coordinator of Elections Mark Goins Dec. 13.